Experienced podiatrist Bardon and surrounding suburbs – We have four friendly, experienced podiatrists at our Indooroopilly Shopping Centre location. Servicing the residents of Bardon, our university trained podiatrists are available to assess, diagnose and manage your lower limb issues. The Walk Without Pain Podiatry Clinic is located within Indooroopilly Shopping Centre on level 6. Carparking is abundant. The best parking is adjacent to the Post Office on Level 2. Walk Without Pain Podiatry, Suite 36 level 6 Indooroopilly Shopping Centre 322 Mogill Road Indooroopilly QLD 4068. Call us now on 3878 5590 or why not try our online 24/7 booking portal ? Stephanie has a special interest in pain in the lower limb. This includes the foot, ankle, shin, knee, thigh and hip / buttock. She is particularly interested in debilitating, long term pain that has proven resistant to previous interventions. General podiatry care for nail and skin complaints. 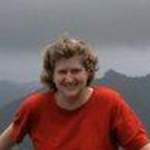 Stephanie invented Copythotics, a cheaper and smaller orthotic type. Extracorporeal shockwave therapy for treatment of fascial injuries, enthesopathies, tendinopathies, muscle tightness and fascial complaints. Permanent ingrown toenail surgery using chemical ablation of the nail matrix. Perineural injection therapy using the Lyfthogt technique. 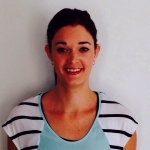 Charlotte is a keen sportswoman with an interest in biomechanics and soft tissue injuries. From Indooroopilly, we service the Podiatrist Bardon residents. Custom made orthotics devices for a wide variety of complaints. Use of Extracorporeal Shockwave Therapy to encourage soft tissue repair for long standing injuries. Soft tissue prolotherapy for the treatment of tendons, muscles, fascias, retinaculum and joint capsules. 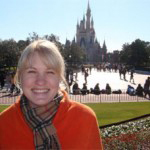 Holly has an interest in diabetic foot care and paediatric podiatry. 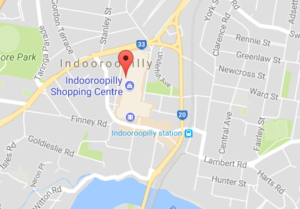 From Indooroopilly, we service the Podiatrist Bardon residents. Custom made orthotic devices covering a broad range of alternative types and styles. Support for arthritic joints of the feet and legs . Laser application to kill fungus infecting nails. Ingrown toenail remedies – immediate and long term. Intractable pain treatments using the injection of glucose to irritate non-responsive tissue . 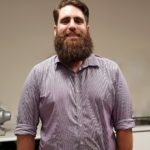 [/vc_tta_tabs][/vc_column][/vc_row] Christian Matthews also practices from our Indooroopilly location. He graduated with Honours from the Bachelor of Podiatry in 2014 and has been with us since this time. Chris is a very passionate podiatrist who likes nothing better than to relive pain in his patients and make their lives better. He is also one of Queensland’s first podiatrists to be Endorsed to Prescribe Scheduled Medicines. Chris is experienced in injection therapies, shockwave treatment, and all aspects of general and sports podiatry.